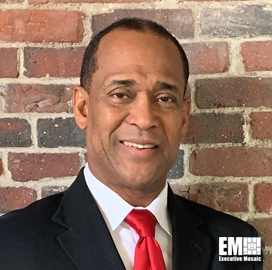 Charles Stuppard, a 30-year U.S. Navy veteran and former vice president of AECOM’s Middle Eastern arm, has been appointed general manager of Bambu Global’s Canopy Defense subsidiary. The retired Navy captain will oversee strategic initiatives and business and product development efforts in his new position, Canopy Defense said Thursday. His military career has included leadership positions such as commander of the first joint Army-Navy base, commanding officer of the USS Arleigh Burke warship and instructor at the Navy Command Leadership School. He also worked at the Pentagon's Joint Chiefs of Staff on 9/11. Robb Osinski, CEO of Bambu Global, said Stuppard brings leadership, broad strategy and logistics experience to Canopy Defense's military and government support programs. Stuppard's other private sector roles include chief operating officer at Constellation Blue Group and Bluestone Group. Canopy Defense maintains a portfolio of electromagnetic offerings such as dynamic camouflage, heat-reflecting cool paint, photoluminescent technology and signature management platforms.